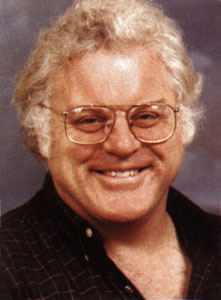 American physicist Robert B. Laughlin explained the fractional quantum Hall effect (FQHE), which was discovered by Horst L. Störmer and Daniel C. Tsui in 1982. FQHE is a physical phenomenon manifested when a system at low temperatures and in strong magnetic fields seemingly misbehaves, with electrons forming into quasi-particles with charge smaller than the elementary charge. Laughlin demonstrated that in a powerful magnetic field, electrons can condense to effectively form a "quantum fluid" akin to a similar phenomenon that occurs in liquid helium and superconductors. Laughlin, Störmer, and Tsui shared the highest honor in science, the Nobel Prize, in 1998.